The climate of the Andes mountain range in South America is both incredibly dry and bitterly cold. This makes it perfect for preserving the mummies that were created in the ritualized burials of the ancient people who lived there about a thousand years ago. This preservation means scientists can study everything about these people from the clothes they wore to the meals they ate just before they died. 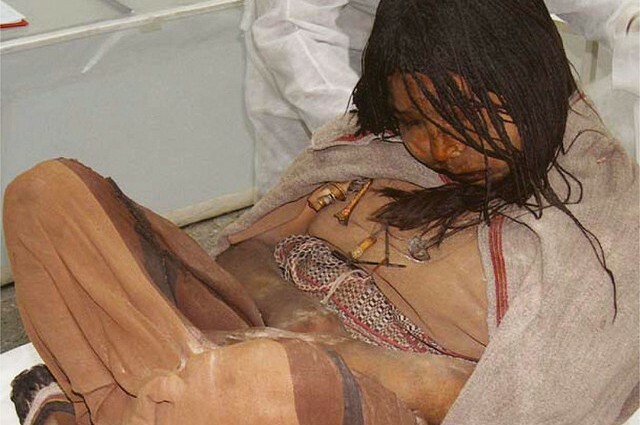 By taking a sample from the gut of a female mummy found in Peru that dates to between 980 and 1170 C.E., scientists were able to sequence parts of her microbiome, as well as figure out what led to her death. Interestingly, they found that the bacteria in her gut contained genes associated with antibiotic resistance. This suggests that resistance, as a trait, was already present in these bacteria for a long time before the discovery and use of antibiotics, and while modern use might be increasing the prevalence of resistance, modern use didn’t cause it. The guys from ASAP Science, who brought us the Science Love Song, deliver this science send-up of a Taylor Swift tune.